ElectrumG 3.2.1 is a stable release and is fully compatible with the recently Upgraded Bitcoin Gold Network. 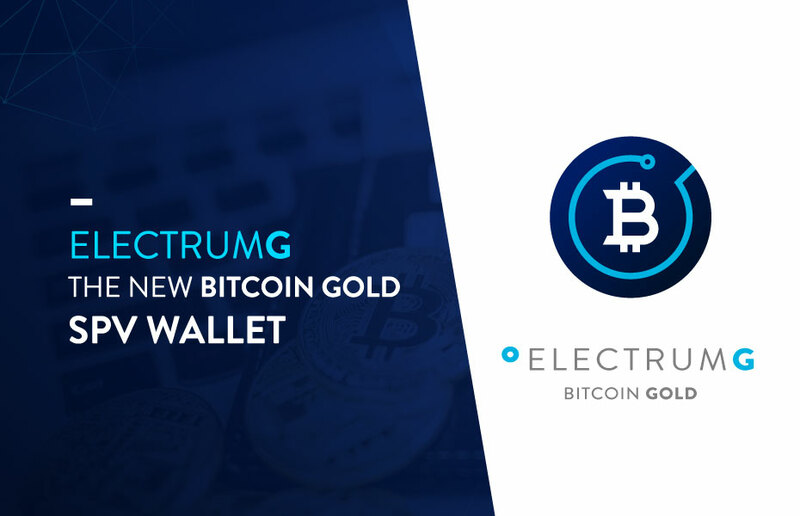 ElectrumG is our version of the popular Electrum Bitcoin Wallet, modified for BTG. It’s is a full-featured wallet that’s easy to use for beginners but provides many advanced features – including invoices, multisig wallets, cold storage, and a rich set of functionality for advanced users and developers. Most importantly, ElectrumG is very quick to load and very lightweight, consuming a lot less disk space than a full node wallet. Unlike a “full node” wallet, ElectrumG on your computer doesn’t validate every BTG transaction and maintain a full copy of the BTG blockchain, so it doesn’t need hundreds of gigabytes of space on your computer. Instead, it relies on lightweight block headers and uses SPV (Simplified Payment Verification, as described in the Bitcoin Whitepaper) to verify payments. Like any SPV wallet, ElectrumG relies on ElectrumX servers for some functions, such as receiving new block headers, or broadcasting new payments after they are signed – but the private keys used to sign those transactions never leave your computer. You remain in complete control of your private keys. The Bitcoin Gold Organization also hosts and maintains a globally distributed set of ElectrumX servers, which were upgraded for the Network Upgrade. We’ll continue to work hard to provide the kind of software users want, the services developers need, and to continue expanding and supporting the Bitcoin Gold Ecosystem. Please report Issues on GitHub or the Forum.